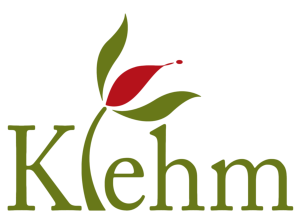 Klehm Arboretum & Botanic Garden (KABG) does not sell, license, loan, trade, or otherwise share any of your personal information or e-mail address with any other organization. For each visitor to our Web site, our Web server only collects aggregate information on what pages visitors access, and from which search engine or outside link from which their visit may have originated. We do not collect personal IP addresses, or any other personal computer information. The information we collect is used to improve the content of our Web site, and its ability to be found on the Internet, and is not shared with other organizations. We provide free electronic newsletters via Constant Contacts to keep you up-to-date on KABG programs and events. We do not sell, rent or share your e-mail information with anyone. You can subscribe and unsubscribe to receive this information at any time. You always may opt-out of receiving future e-mail messages and e-newsletters. You can stop receiving e-mail communications from us at any time by selecting the “unsubscribe” text link provided at the bottom of all e-mail communications. We also permit you to correct or update personal information that you have previously provided to us. If you do not want to receive e-mail from us in the future, you may also let us know by writing to KABG at the address below and telling us that you do not want to receive e-mail from our organization. We deploy surveys online and at KABG only to gather information which helps us understand our audience. You may decide whether or not you want to answer our survey questions. No personal information from these surveys is disclosed to third party organizations.